We are full service commercial electrical contractors, founded on a platform of exceptional customer satisfaction. From one-time projects to long-term service accounts, we have been the Upper Valley's most reliable resource for commercial and industrial electrical and communications work since 1978. To provide our customers with the finest electrical and communication systems and services available. To immerse ourselves into the vision and mindsets of our customers and strive to gain a comprehensive understanding of their business objectives. To constantly keep pace with technological advances. To utilize our experience, skilled personnel, and extensive network of resources to assist our customers in achieving their goals both now and in the future. 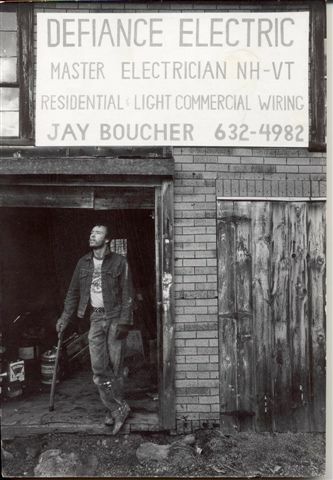 Jay Boucher founded Defiance Electric in 1978 with the firm belief that customer satisfaction would be the most important aspect of building a successful business. We realized that achieving this satisfaction started with an understanding of our customer’s goals, and we promised to communicate with each customer clearly and continually, regardless of the size of the project. Since then, we have leveraged this philosophy, focusing on creating scalable solutions for customers that meet their immediate needs, while also helping them look forward by providing an infrastructure for seamless expansion in the future.